Origin: purchase by the Royal Palace, by order of HM King Alexander I directly from the artist in 1934. 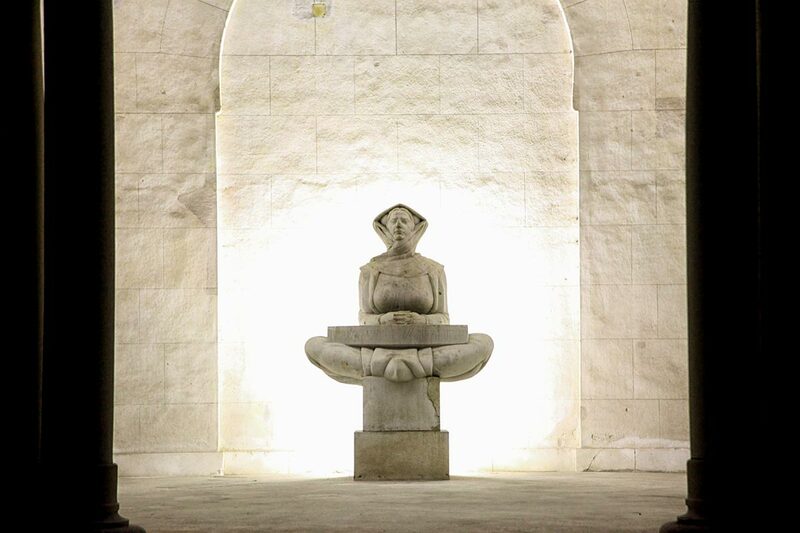 The sculpture was made as a version of the work the artist made in 1932 for the Museum of Croatian History in Zagreb. 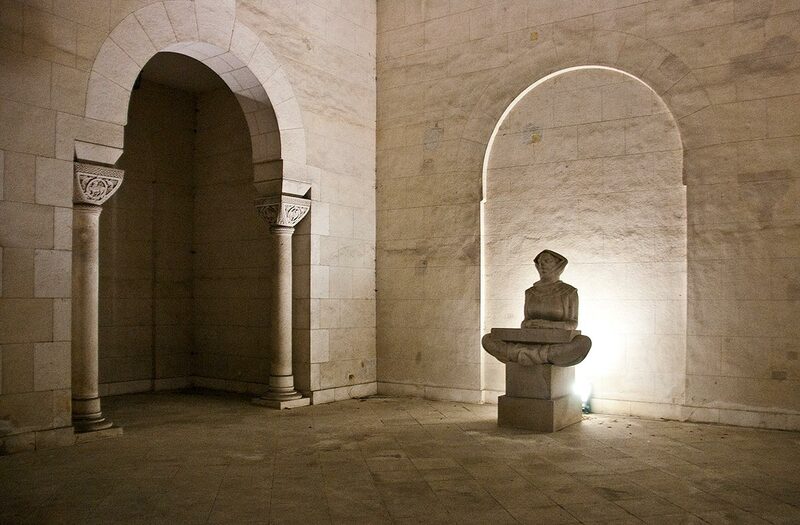 As commissioned by HM King Alexander I own private funds, Ivan Mestrovic and his team of stonecutters worked from November 1933 until April 1934 on the sculpture “History of the Croats” for the State Art Collection in the Royal Compound. 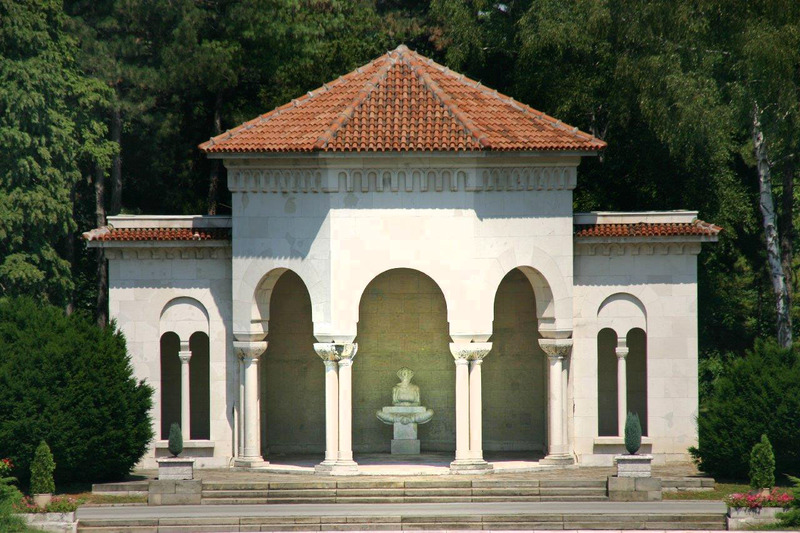 The work was transported in May 1934 and placed in the Royal Park pavilion opposite the main entrance to add to the private art collection of HM King Alexander I. “History of the Croats” represents a female figure dressed in a stylized national costume from the Dalmatian Zagora. Not surprisingly the sculpture is sometimes called A Woman from Zagora. Purified surfaces, a serious face without expression, hands folded on the horizontal surface of the slab in her lap convey perfect harmony and calm. 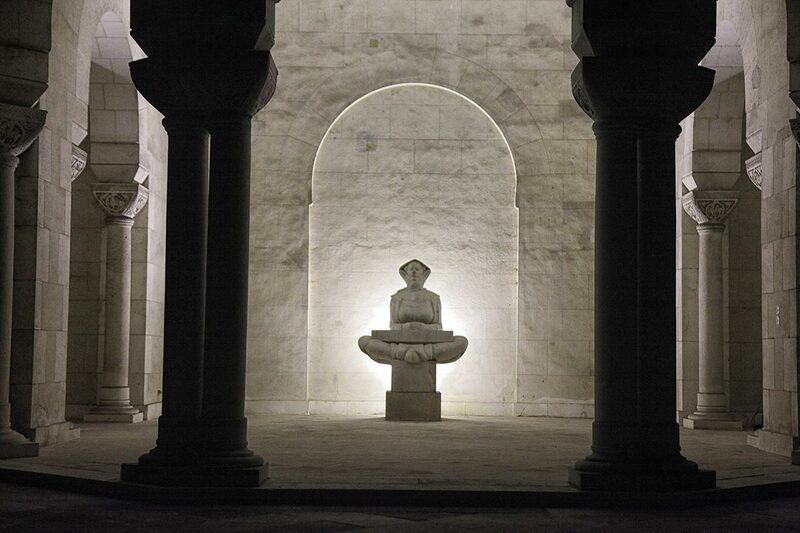 Such a concept, the archetype of the mother of wisdom, can be seen in Ivan Mestrovic’s earlier sculpture, from 1908, entitled “My Mother”. 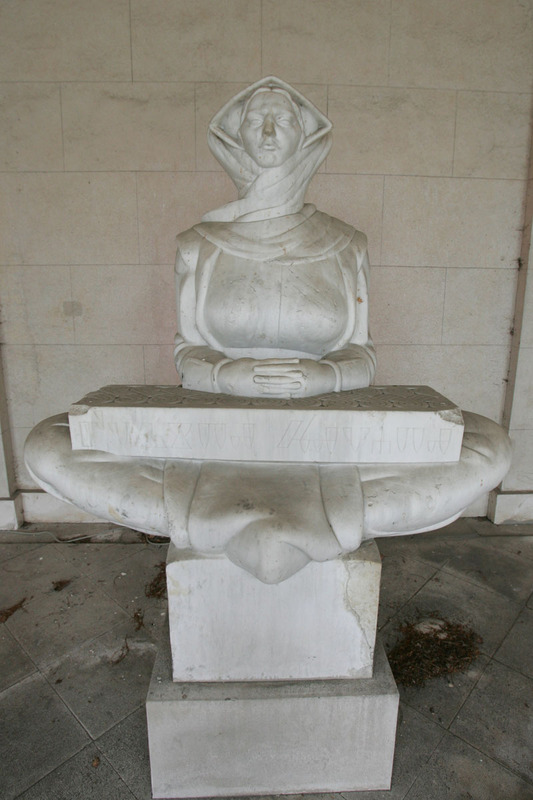 The horizontal slab supporting the folded hands of the woman bears the inscription written in the Glagolite script Povijest Hrvata (“History of the Croats”). As a mythologised vision of unified Yugoslav space within the official Royal Park, it could also be a pendant to the archetypical warrior embodied in the figure of Milos Obilic.